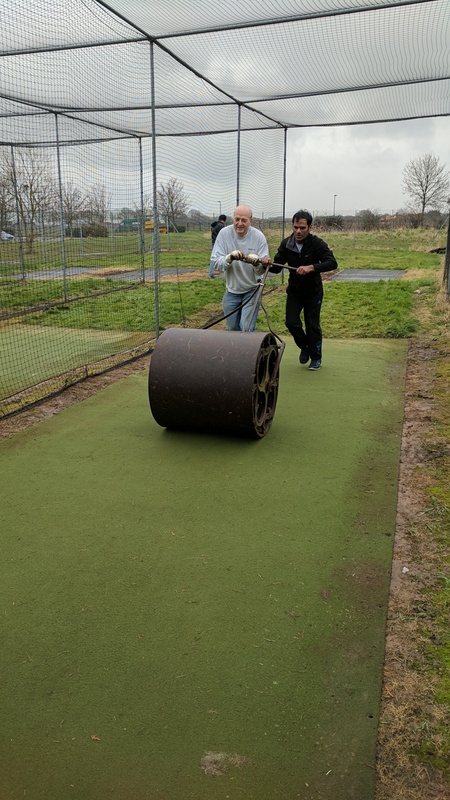 Six hardy members were at the ACG on Good Friday to prepare the Ashford cricket nets for junior and senior practice this season. Despite a forecast of a dry morning, the heavens opened at about 11:00 am which hampered proceeding a little. However, all six stuck at it and the job was completed. 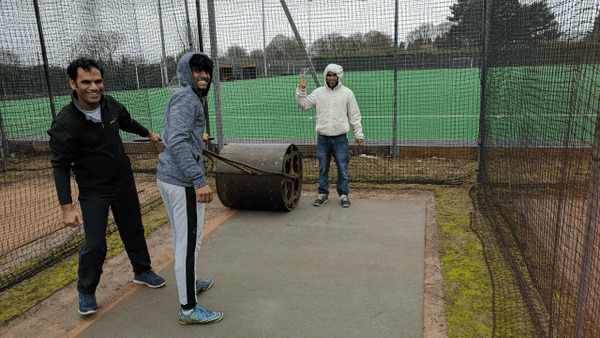 Supervised by the local County Councillor, the team lifted the matting on three lanes, levelled the surfaces, refitted the mats and rolled them. The mats are all now going to be professionally weed and moss killed and cleaned by Pitch Maintenance Services. On Easter Saturday Pitch Maintenance Services were on site to carry out refurbishment work on the artificial strip in the outfield. This much underused resource should now be restored to a facility which the whole club can use for some much improved and much needed training. Pitch Maintenance Services will be returning in the next couple of weeks to moss and wed kill and clean this strip. The strip will not be usable until this cleaning work is completed.